They come in a range of colours. Small and delicate, simple stud earrings. 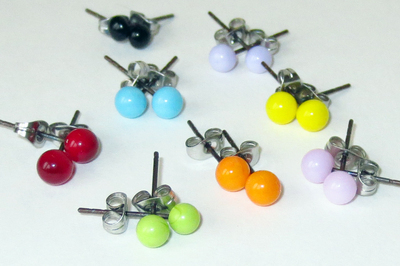 Lampworked glass beads made directly on to the surgical steel posts (metal used for piercing ears.) No glue used. Coloured top is approx 5mm in diameter. When ordering please allow 5 days for making.